T&L's visionary founders built their engineering practice on rock-solid principles reflecting and honoring the character of the rugged, individualistic people of the coalfields region. The Dickenson County Chamber would like to congratulate our 2018 Business of the Year Winners! Enjoy reading about the February spotlight winner! Take a look at our new Member Spotlight! 1. When did you open for business? The hospital opened as Dickenson Community Hospital in November of 2003. 2. Why did you open Dickenson Community Hospital? 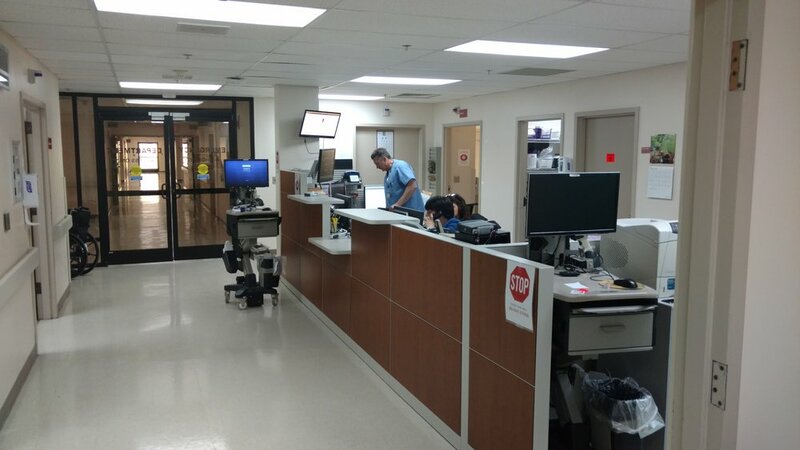 DCH was reopened to serve the healthcare needs of the citizens of Dickenson County. 4. Why do you enjoy most about your Chamber membership? Our affiliation with the Chamber of Commerce allows us to support and interact with fellow Chamber businesses and members in an effort to support and grow our county. 5. How can potential patients get in touch with you and visit your hospital? Patients may call us at 926-0300 or visit us on Hospital Drive in Clintwood. Family Preservation Services, Inc. (FPS) has been serving the emotional, social, and behavioral health needs of people in Virginia since 1992. After serving needs from a distance for several years, the four county region of Dickenson, Buchanan, Russell, and Tazewell Counties was established in 2001 in order to better serve people in the coalfields. In 2007, following the encouragement of our local community agency partners, we opened an office in Dickenson County at 5123 Dickenson County Highway in Clintwood where we continue to operate today. 2. Why did you open a Family Preservation Services, Inc. office in Dickenson County? For several years, we traveled into the county from both the Cedar Bluff and Abingdon offices to lend a helping hand. We had frequently hired great local people who had a heart and passion for the work that was being done; however, distance from an office was a concern which often resulted in our inability to sustain lasting employment relationships with the best available people. The region decided to invest in the best of resources, the local people. We then opened doors inside the county. Since 2007, we have been able to recruit and hire team members who are able to more readily serve people near their homes and in their own communities. Many of our team members now have well-established, decade or near decade-long careers with FPS. In turn, the resources and backing of a large, national entity is able to support best practice models of care within the local community. As a result, locals are able to serve locals in ways that show respect for the county and it's people while providing the best possible care available anywhere, often to those most in need in our area. 3. Could you tell us about what FPS offers and the type of people who work within the organization? There are currently eighteen people on the FPS team that serve the needs of Dickenson County in different ways. The local operation is part of an approximately 65 member regional team and 900 member statewide team. About half of the county's eighteen FPS staff members provide Therapeutic Day Treatment Services to children with behavioral health needs in the local schools. Others provide Intensive In-Home Behavioral Health Services, Home-Based Counseling Services, Behavior Aid Services, Outpatient Therapy, and administrative support. Community-based services of this nature are repeatedly proven to be more long-term effective in helping people make positive life change. They are also significantly more cost-effective to deliver than people being placed out of their homes and communities. Most of the services we provide are in partnership with Virginia's Department of Medical Assistance Services, Magellan Health Care of Virginia, and/or the local school system. We also volunteer participation and leadership with the county's Family Assessment and Planning Team (FAPT). Through these and other partnerships, we are able to provide the vast majority of our services through state and federal funds, thus bringing revenue into the county through the professional employment of the people who live here. In addition, FPS of Virginia is a member of the Molina Healthcare family of businesses within the Pathways Behavioral Health division. We are very proud to offer services that are tailored and geared toward the needs of Dickenson County people, while also being a part of a much larger national business family. In 2016, Molina Healthcare was ranked number 201 in Fortune 500 and served over 3.5 million people. 4. What do you enjoy most about your Chamber membership? It has been stated that every dollar that comes into a locality turns over seven times within that locality. We are excited to first of all support excellent counseling and other human service-oriented program delivery locally, while secondly contributing to the economic health of the county. The Dickenson County Chamber provides an avenue for us to be able partner with and support other companies, thus developing synergies that are mutually beneficial. This mutual benefit empowers growth and development of all business. It provides support to those of us who are attempting to help the county strive toward a higher level of credibility, thus attracting industries that can provide stability to current and future generations. There is a strong parallel in being emotionally and socially healthy while also being healthy from an industrial standpoint. The Chamber helps us participate in bridging that gap. 5. How can potential consumers attain your services? If you are seeking services, we encourage you contact our Clintwood office at 276-926-4031. As we provide most of our work in people's own environments such as homes, schools, and other community locations, there are times you may need to leave us a message. You may also contact the Cedar Bluff FPS office at any time at 276-963-3606 for additional support. The two offices function together seamlessly and support one another. If there is a need for intensive school-based services, please ask for a Family Preservation Services team member at the office of your child's school or contact the Clintwood FPS office. 6. How can strong candidates seek employment with FPS? FPS is seeking highly qualified, experienced candidates to serve with us on our team. We are currently offering sign-on bonuses for full-time counseling staff who join us in a strengths-based approach while believing in going the extra mile while serving challenging needs in often challenging environments. Qualified Mental Health Professionals possess a Bachelor's or Master's Degree in a Human Services related field and have experience working with the identified population of people being served. We offer a competitive salary and benefits package and pride ourselves in a positive, friendly atmosphere in which we enjoy one another and those we serve and work very hard at helping people get to a better place in their lives. 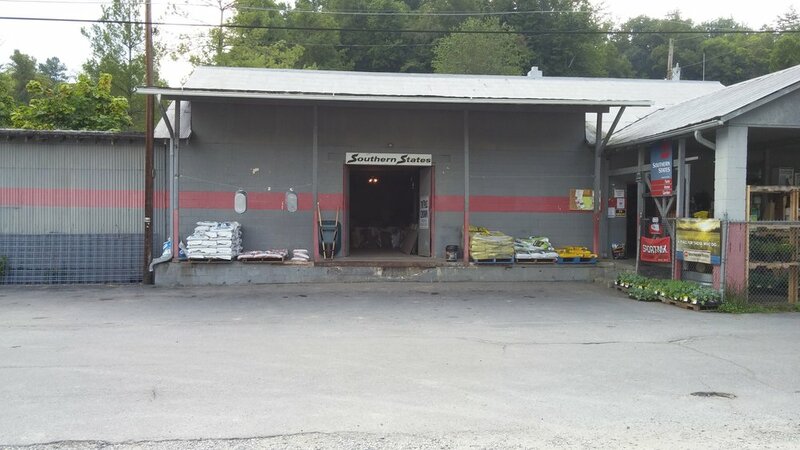 Clintwood Farm Supply has been open for close to 60 years. As of May 2014, ownership changed but some of the familiar faces stayed the same. 2. 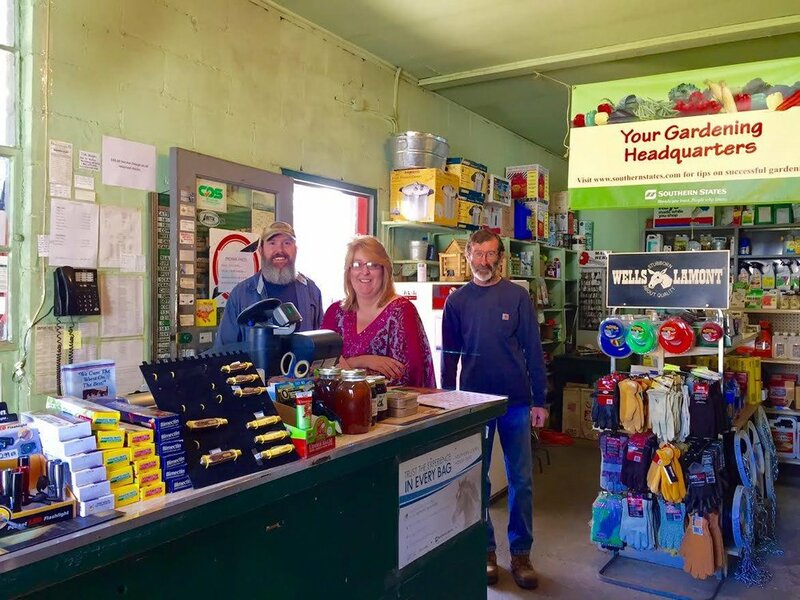 Why did you open Clintwood Farm & Garden? There has always been a need to supply the community of local farmers and gardeners. We felt this was a local business that needed to be carried on. 3. What items do you offer? All livestock related items, feed, tack, fencing, etc. Gardening supplies including vegetable seeds and tools. All of your home hardware needs and the newest addition is propane gas. The Dickenson County Chamber promotes the small businesses. As a small business and locally owned it is welcoming to feel supported. 5. How can potential customers get in touch with you and visit your store? WHEN DID YOU OPEN FOR BUSINESS? We opened Dickenson County Home Health and Hospice on October 2004. WHY DID YOU OPEN YOUR BUSINESS? I opened DCHHH because I wanted to make a difference in health care. I wanted to do my part in making sure that our community received the best possible health care that they could. Providing good health care in itself can be achieved by any agency, but I wanted to make sure that more than that could be provided. Our staff goes above and beyond to try to provide our patients with not only the best medical care we can, but also with patience and compassion. DCHHH offers general home health care in the disciplines of skilled nursing, home health aides and physical, occupational and speech therapies. We also offer IV therapy for our patients. WHAT DO YOU ENJOY MOST ABOUT YOUR CHAMBER MEMBERSHIP? Probably the most import aspect of being a member of the chamber is knowing that we are an active part of our community and through the chamber are able to interact with other businesses that feel the same as we do about supporting our county and citizens. HOW CAN POTENTIAL CUSTOMERS GET IN TOUCH WITH YOU AND VISIT YOUR SHOP? Anyone in need of our services can reach us at 276-926-6600 during business hours Monday-Friday 8:00am-4:30pm or can come by our office at 230 Chase Street in Clintwood, Va. Also available is our website at DCHHH.com. We will do our best to answer any questions or address any concerns that we are able to. We strive to provide our patients with the best health care experience we possibly can, and should you ever need home health care we hope that you will give us the opportunity to take care of you or your loved ones in their time of need. 2. Why did you open Clintwood Lumber? Paul Riddle said his Dad, C.T. Riddle from Coeburn, saw a need for building materials after the war. Building materials were hard to get at that time so he wanted to provide that service to the community so he opened Clintwood Lumber Supply Company. We offer a complete line of building materials and hardware. Also, we offer knives and other items. We know what the chamber has done to help businesses and the community and continue to do so every day. They work hard to make things better for the community and businesses. 5. How can potential customers get in touch with you and visit your business? Our email is: clintwoodlumber@yahoo.com and our phone number is 276-926-4621 . We are located in Clintwood at 5038 Dickenson Highway. 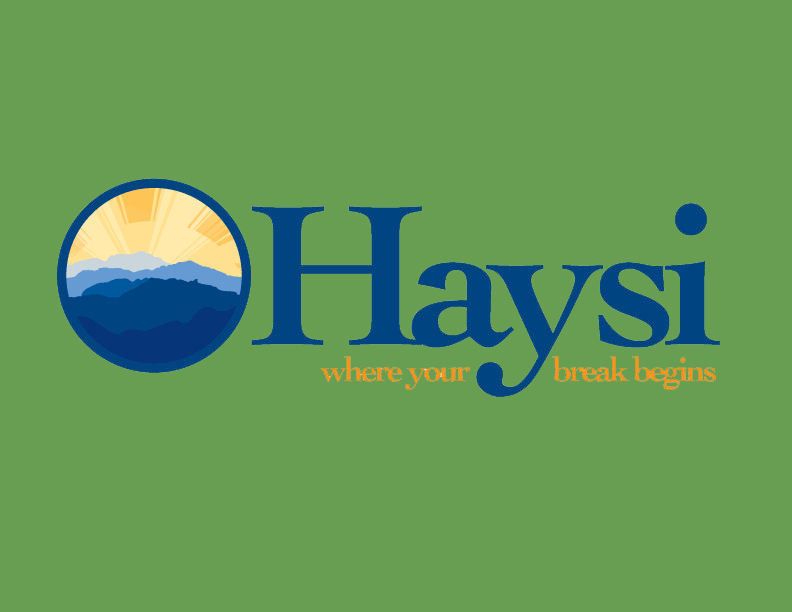 "We feel it has been a wonderful networking opportunity to have support of the Dickenson County Chamber of Commerce, which allows sharing of innovative resources and visions for future of business development." 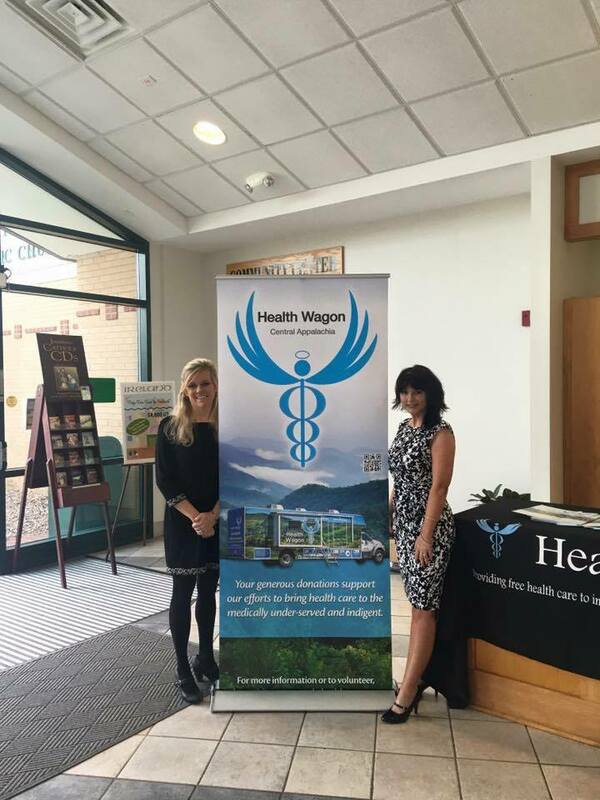 The Health Wagon is a nonprofit organization providing mobile health services to the medically underserved in Southwest Virginia since 1980. The Health Wagon visits eleven sites in Virginia’s Buchanan, Dickenson, Russell, Lee, Scott, and Wise counties (and the City of Norton) to serve a severely medically underserved population. The Health Wagon’s staff consists of two Doctors of Nursing Practice, a Family Nurse Practitioner, two Registered Nurses, three Licensed Practical Nurses, an Outreach Coordinator, a Director of Operations, an Administrative Assistant, a Director of Development, a Data Systems Coordinator, and a Receptionist. Every dollar donated to the Health Wagon is approximately $100 reaped in health care benefits. In 2013, the Health Wagon assisted more than 11,000 patients obtain access to care valued at over $1 million. Through partnership with many pharmaceutical companies, the Virginia Health Care Foundation and Mountain Empire Older Citizens Agency, the Health Wagon’s Pharmacy Connect Program provided $1.2 million in pharmacy assistance to patients in 2013. The Health Wagon utilizes an advanced computer system and broadband telecommunications linkage to provide clinical, educational, and other specialty services to patients via telemedicine technologies. As a partnership with the University of Virginia Health System, the network is capable of rapidly transferring patient records and medical images – such as x-rays, CT and MRI scans, ultrasound recordings, and more. Nearly one million residents of Virginia lack health insurance. The poverty rate among the population served by the Health Wagon is 70% to 140% higher than in the rest of Virginia. ◦43.4% live on incomes less than 200% of the federal poverty rate, compared with 27.1% statewide. ◦49.3% of those over the age of 25 do not have a high school diploma, compared with 24.8% statewide. ◦Chronic unemployment rates are five times higher than the statewide average. Adults in the Health Wagon coverage area age 35-64 die 30% earlier than the same population in the rest of Virginia. Additionally, as compared with the rest of Virginia: ◦Health Wagon clients are 21% more likely to die from diseases of the heart. ◦Health Wagon clients are 14% more likely to die from diabetes. ◦Health Wagon clients are 35% more likely to die from COPD. ◦Health Wagon clients are 40% more likely to die from unintentional injuries. ◦Health Wagon clients are 50% more likely to die from suicide. 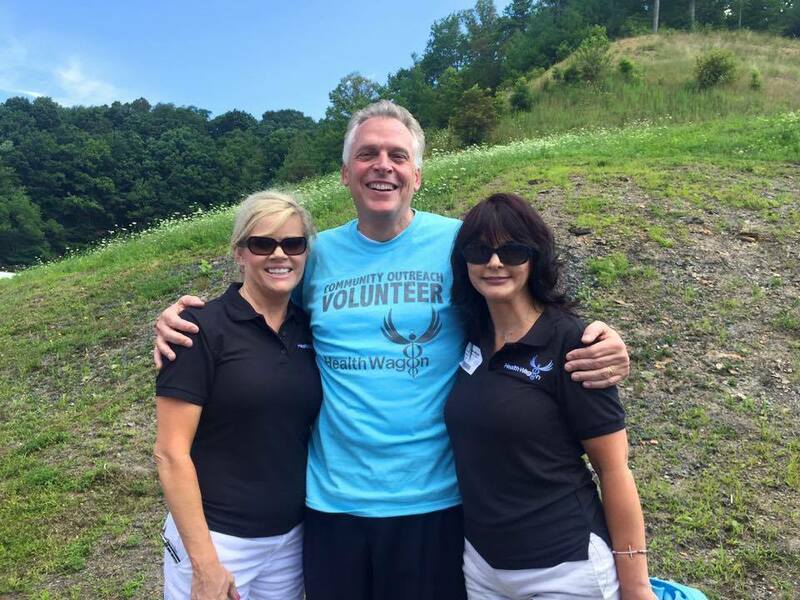 The Health Wagon has really been a blessing to people all over Southwest Virginia.